While I stayed the course, I fear that many will simply choose a simpler path of building a startup in developed markets. The absolute worst thing that can happen for the poorest people on Earth is that the next generation of superstar entrepreneurs ends up in Silicon Valley making iPhone Apps, rather than trying to address the problems of the 4 billion people who need them the most. 1: SURELY YOU CAN’T MAKE MONEY WORKING WITH PEOPLE WHO ARE SO POOR? Even the poorest people are still consumers. Like you and I, they make decisions about what to buy each and every waking hour. Collectively they spend over $5 trillion dollars a year, roughly equal to the GDP of the third largest economy in the world. There is an obvious market opportunity here and Coca Cola is a great example of a company that has seized it. Coke is the biggest employer in Africa, and you can often find a bottle of Coke in a village where basic medicine is not even available. 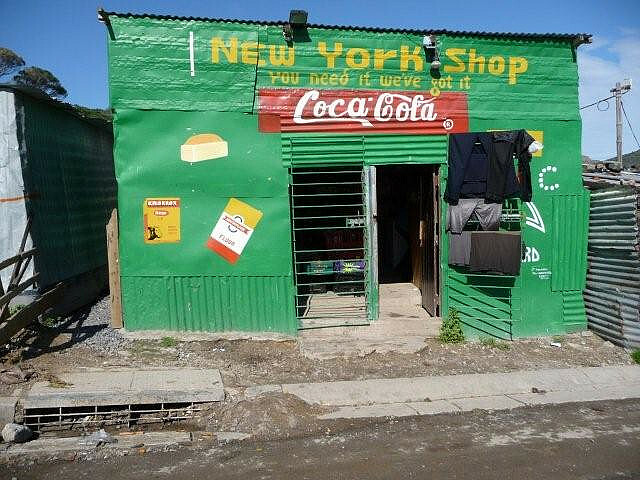 Coke is hoping to reach 106 million households in Africa by 2014 and plans to spend $12 billion this decade to fuel its growth on the continent. If Coke can make money selling sugary soda at 40 cents a pop to villagers who don’t need it, there is plenty of room for companies selling much more meaningful products they actually do need. 2 : DON’T YOU FEEL LIKE YOU ARE TAKING ADVANTAGE OF THESE PEOPLE BY MAKING MONEY FROM THEM? What most people don’t realize is that the status quo for poor consumers is that they routinely pay a lot more for products and services than anyone else. This is something known as the poverty penalty. The poverty penalty, as noted by a World Resources Institute report in 2002, means that urban slum dwellers in India without access to municipal water pay anywhere from 4 to 100 times as much for drinking water as do middle and upper class families in the same country. In Lima, Peru, a poor family pays 20 times what the middle class pays. Yet another example is that the cost of credit in Africa can be 100 times more than for poor families who do not have access to formal financial institutions, because loan sharks with usurious terms become the only viable option for borrowed funds. Crazy, isn’t it?So, the idea that it is morally wrong to make money by delivering better products and services to the world’s poor is simply absurd. The best way to eliminate the poverty penalty is to have companies competing to provide goods and services to these consumers. Competition brings prices down and creates choice. WOULDN’T CHARITY DO A BETTER JOB OF MEETING THE NEEDS OF POOR PEOPLE? Charity is effective in certain situations. However, when poor consumers are already paying for a service or product and there is already a market established, charity is not the solution. Charity at its worst is a handout that encourages laziness and stymies initiative. Perhaps the biggest advantage of Jamii Bora’s approach is that it generated profit, and because of this, the organization was able to access investment which allowed it to grow quickly and provide services to ever more people. The problems facing the world’s poorest consumers are big and complex. If we hope to reach 4 billion people and get them things like safe access to water, energy and housing, we need all of the resources we can possibly muster. Charities simply cannot match the growth potential of a business that is able to attract investment.